The other day, I ran to the store for something for dinner. I had an idea, but the summer squash was all a little bit soggy. A few steps away, I spotted a small display of artichokes. The last ones I bought were marketed as "frost kissed" and they were not the best I've ever had. Thankfully, these were quite tasty. They were also on the small side, so that made it easier to keep from getting too full from wolfing down just artichoke. We still had room for other food. 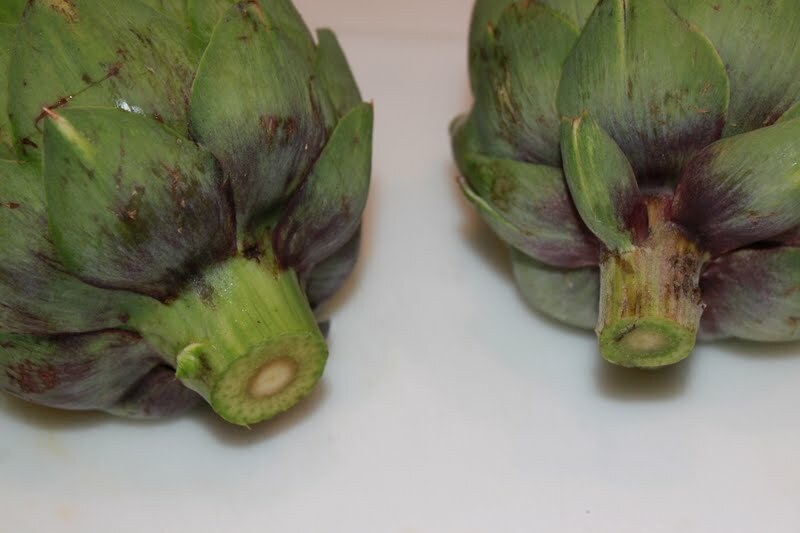 I choose smaller artichokes that looked a bit more tightly closed at the top. 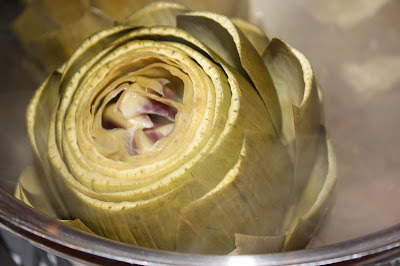 I have found that larger, more open artichokes are tougher and take longer to cook. Sometimes larger ones taste a bit more acidic. 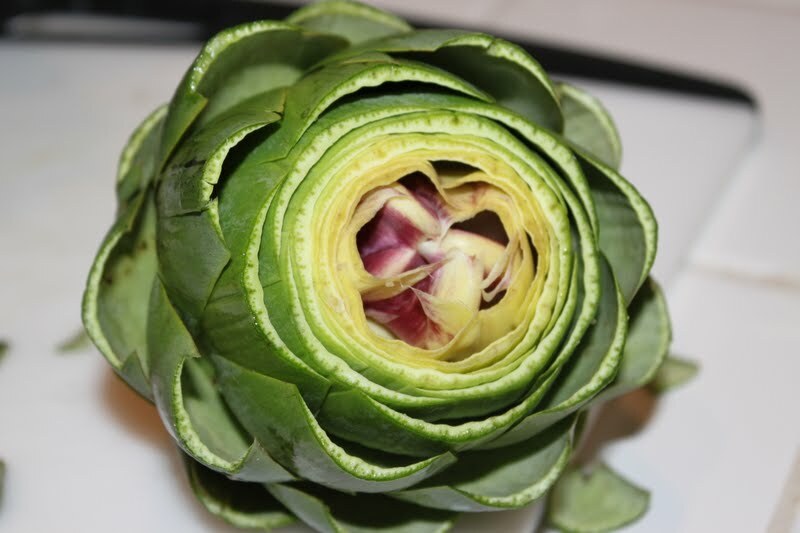 A good artichoke has a wonderful complex flavor that is green, fresh, and sometimes a hint of sweetness comes through. I like to dip mine in a bit of regular mayonnaise. You could also mix equal parts ketchup and mayo, or try an infused olive oil. 1. Wash and trim the artichokes. 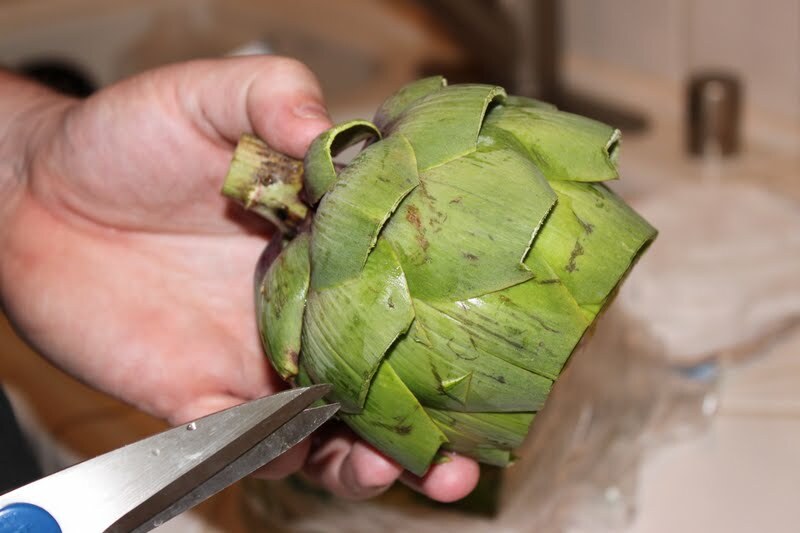 Use a large, sharp knife to chop off the top, that is roughly 1/4 to 1/3 of the artichoke. Trim the stem so it's even. Using kitchen shears, snip off the barbed end of each leaf. I know, technically they aren't leaves, but more like petals. Anyhow, whatever you want to call them, snip away just the thorn. 2. 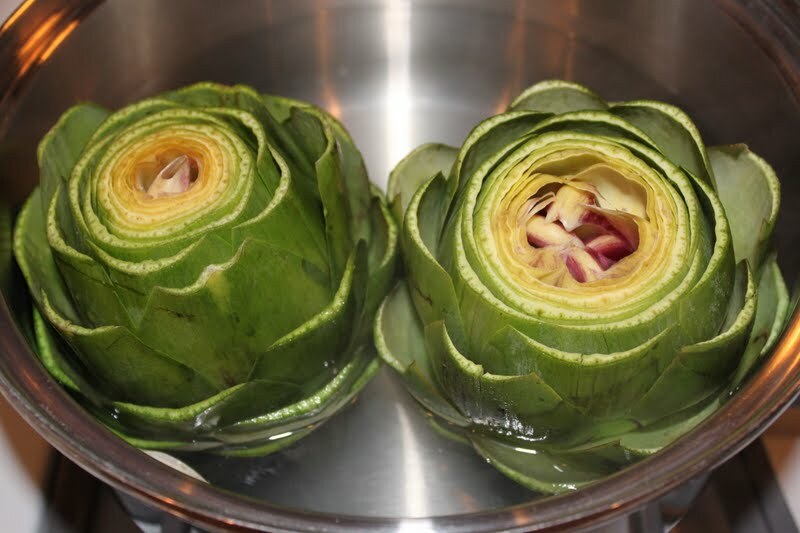 Using a pot large enough to hold your artichokes upright, fill to about 2" deep with hot tap water. Add a sprinkle of salt, lemon juice, unpeeled garlic and bay leaves. Bring up to a gentle boil. 4. At the end of cooking time, remove one artichoke and pull off a couple leaves from the base to test doneness. If they easily pull away, they are ready. Using tongs, remove them from the pot and drain excess cooking water. 5. 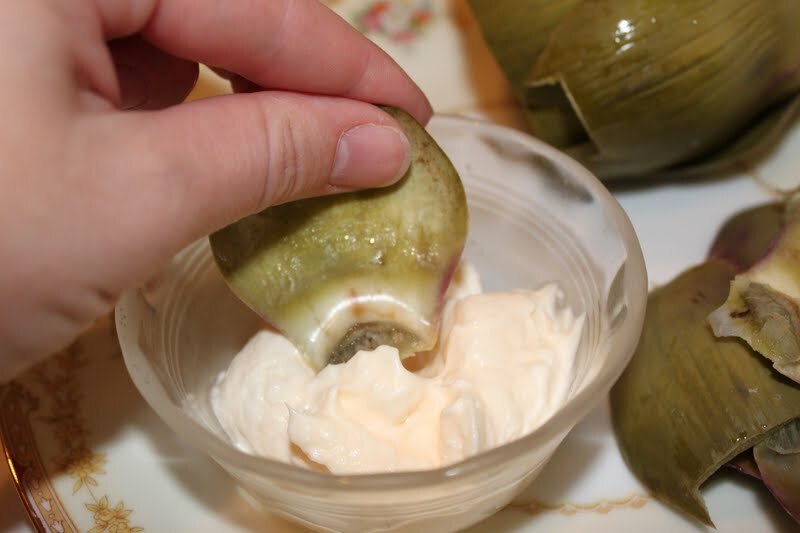 Serve whole with a small bowl of mayonnaise or aioli for dipping. 6. 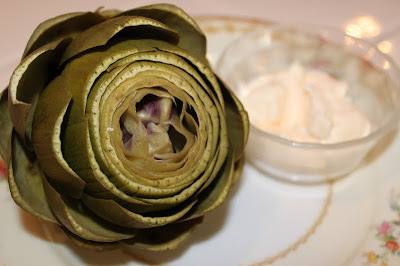 To eat your lovely artichoke, pluck each leaf off. Eat only the tender, white base of the leaves. You really just scrape the tender part with your teeth, leaving the majority if the leaf behind. When you get through to the choke (the spiky, hair-like inside layer) take a spoon and scoop out the hairy choke. 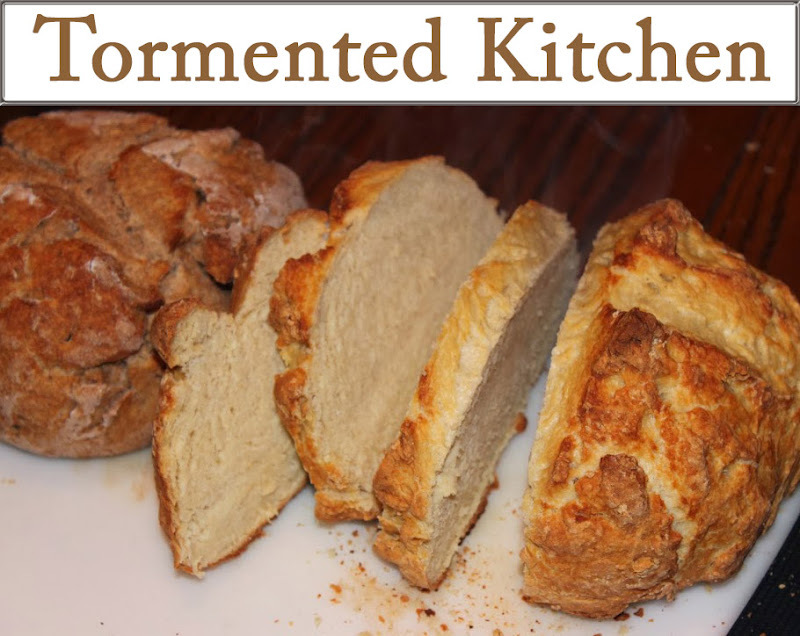 Once you get down to the tender heart, I scoop it and eat that just plain. I love it!